Vienna. Ottokar II, AD 1251-1276. Denomination : Silver pfennig. Mint : Vienna. Size : 13.2 x 13.9 mm. Weight : 0.68 grams. 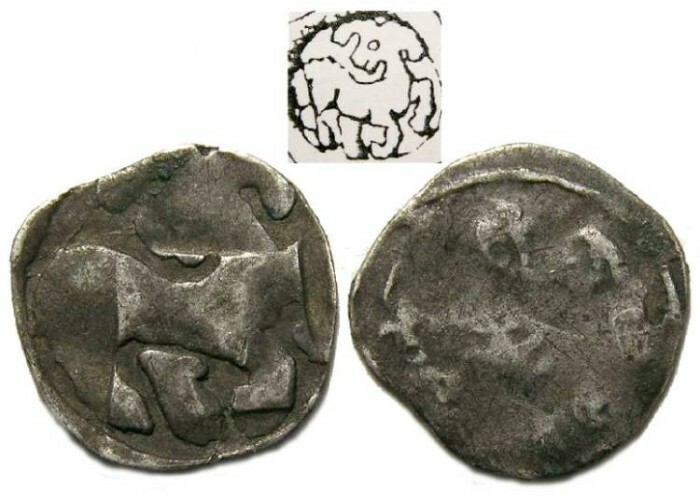 Obverse : Ram walking right with head turned back to the left. Reverse : Eagle left with spread but as in normal for the type only traces of the reverse show. This coin was struck by the vierschlag method where by the reverse is struck first, and then the coin is turned over and the obverse is struck. In the process of striking the obverse, most of the reverse is obliterated (specimens with strong reverses do not exist).